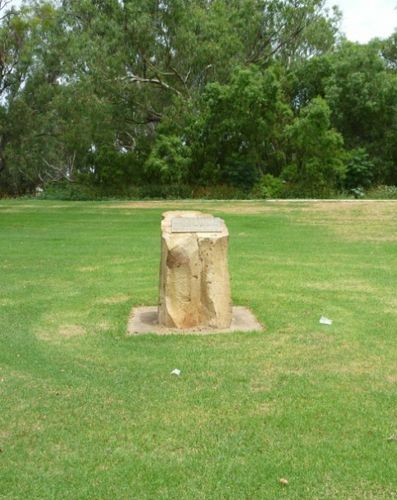 The monument commemorates the explorations of John Oxley, George Evans and party who explored the area in 1818 and Charles Sturt and Hamilton Hume who carried out further exploration of the area in 1828 and 1829. Explorer John Oxley camped on the present townsite during his investigation of the Macquarie River in 1818. He noted an abundance of kangaroos and emus. In commemoration of JOHN OXLEY, GEORGE EVANS and party. CHARLES STURT, HAMILTON HUME and party passed about 1 mile to the north east on or about 18th December 1828 in their attempt to solve the problem of the supposed inland sea.